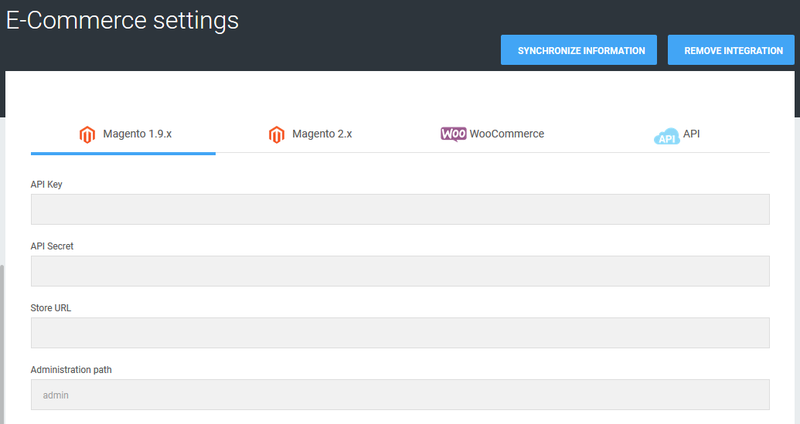 Into E-commerce section you can manage your e-commerce settings connected with your Zakeke account. Remove integration - useful to remove your current integration and to set a new one. Unless you must update the information with your e-commerce, this section is only used during the first access to Zakeke and when you have to integrate your e-commerce for the first time.